Recently Apple rolled out the latest desktop operating system for Mac called Mojave. This operating system comes with stupefying features of prior version and contains its own new features to impress Apple users. Well, the most appreciated features are the dark mode, screenshot button and desktop stacks. However, some of the users have also reported an issue with the new operating system like an installation issue, speed and freezing issues. So, read on to find out How to troubleshoot MacOS Mojave issues. 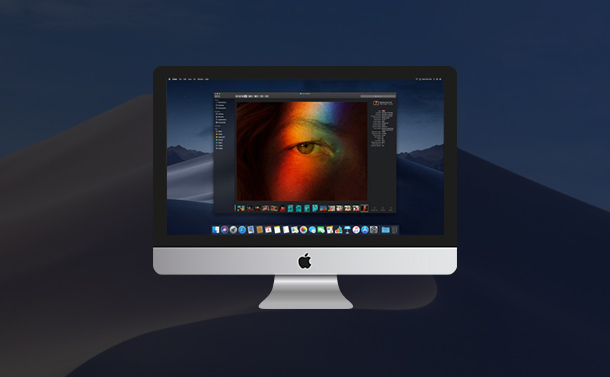 The installation of macOS Mojave is one of the common Mojave issues which has been reported frequently. You can use the below mentioned fixes, if you’re facing issues such as upgrade not available, Mojave won’t install or your machine crashes during the download process. Note: Don’t forget to take a backup of your stored information. You can use the default feature of Mac called Time Machine to back up your files. You can also use any third-party software. As of now, it is not possible to download macOS Mojave from the Mac app store, so you need to register yourself Apple’s Developer Program to get the installation done. For that, Visit the Apple Developer Program webpage and sign up. You might be prompted to pay $100 along with the Apple ID for the enrollment. Once you’re done, you’ll access the first version of macOS Mojave. In case you face issues with the download like it crashes then first you need to restart your machine. If you’re not able to download macOS Mojave after that as well then you need to declutter your machine. Make sure you optimize your Mac by eliminating cache and cookies. Once you’re done with cleaning, give it a shot again. 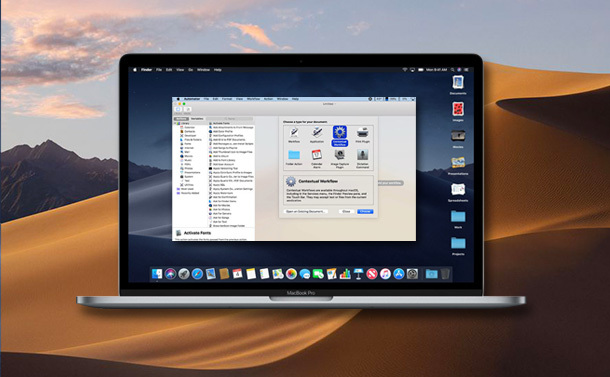 Mostly you’ll notice the speed of your device is enhanced after installing the software update on your device but there are the chances that you may experience Mojave running slow after downloading the macOS Mojave operating system on your machine. However, you can fix the issue and enhance the speed but for that, you need to make sure all your apps are up-to-date. You can find out whether is there any issue with any of the app you’re using in your device. If yes, then you can uninstall and install the app again. In case, everything seems ok then you can restart your machine. You need to optimize your Mac, you can use third-party software to do it for you like TuneUpMyMac. You can also clean up your Desktop. Fortunately, Mac comes with an inbuilt Disk Utility app that comes handy for cleaning errors from your machine. Step 1: Go to Finder. Step 2: Click on Application from the left-panel. Step 3: Choose Utility and then Disk Utility. Step 4: Now, you need to select First Aid and start the scan. You can check out the Activity Monitor to quit the running apps, as when you run multiple programs together your system need, and it began with responding bit slower. Step 1: Go to Launchpad. Step 3: Now, you need to quit apps that are not required for now. You can also quit the app that takes the majority of the of memory. One of the most common issues is a Bluetooth related issue like when your Bluetooth face issue and stop working. Mostly, you can evidence this issue when new software update rolled out by Apple and macOS Mojave is nothing unlike then that. Some of the Mac users have also shared their views that Bluetooth face on its new operating system macOS Mojave. To fix the issue, all you need to do is eliminate the Bluetooth list file which you can find in the Library under Preferences. Please keep in mind that you take a copy of com.apple.Bluetooth.plist before heading forward. Once you’re done, you need to restart your machine and turn on Bluetooth to find out whether the Bluetooth issue is resolved or not. 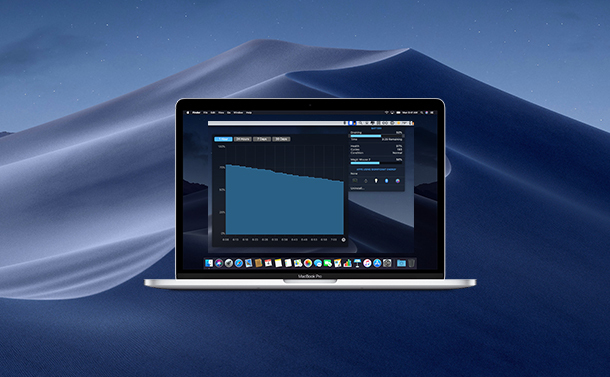 MacOS Mojave crashing during login is another one of the common Mojave issues that has been reported by Mac users. This issue is critical as your Mac doesn’t allow you to access your file and folders until your login first. So, to fix the issues follow below-mentioned steps. Step 1: First and foremost, you need to go into the safe mode to fix the macOS Mojave crashing at login. Step 2: When you’re restarting your machine, you need to hold down the shift key until you see the Apple logo on your screen. Note: If you’re in safe mode you will notice on your screen where it asks you to enter your Apple login ID and password. Step 3: Open your Library and then System Preferences. Step 4: Click on Users & Groups and then click Login Items. Step 5: Now, you need to uncheck the items. Once you are done, you can restart your Mac to get in the normal mode. It is always a great experience to use the latest operating system on your machine but it annoying when you face the issue. However, if you’ve a fix or you know how to troubleshoot macOS Mojave issue then certainly it is a great step ahead.